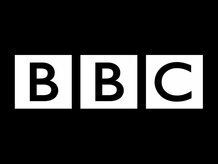 BBC iPlayer radio "in a few weeks"
The iPlayer will soon feature integrated radio stations, as the BBC continues its steady improvement of the already popular service. According to the What Satellite blog, Anthony Rose, the BBC’s head of digital media technology, told Broadcast’s digital channels conference that an all new iPlayer would be available in a few weeks. Currently radio is available through a clunky realplayer plugin, but integration into the iPlayer will immediately bring radio on demand and live streaming. The iPlayer has become an immediate internet phenomenon, with its success with the public leading to snarls of annoyance from ISPs who have found that extra bandwidth is being used. Despite this, the BBC have been delighted by the success of the iPlayer and have rolled the service out on cable with Virgin Media and on Nintendo’s Wii.